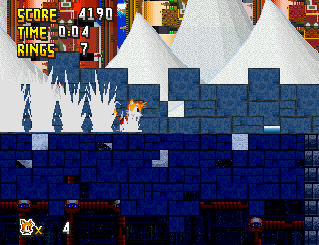 Need to vent the urge to play a new Sonic game, and yet can’t wait for Sonic Lost World? Here’s the perfect fan game to help ease that nagging feeling! 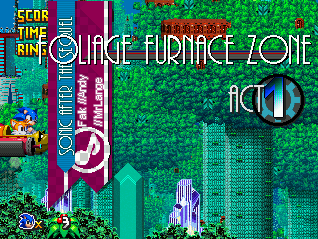 After one year and six months since its announcement, LakeFeperd has finally released the highly anticipated fan game, Sonic After the Sequel! 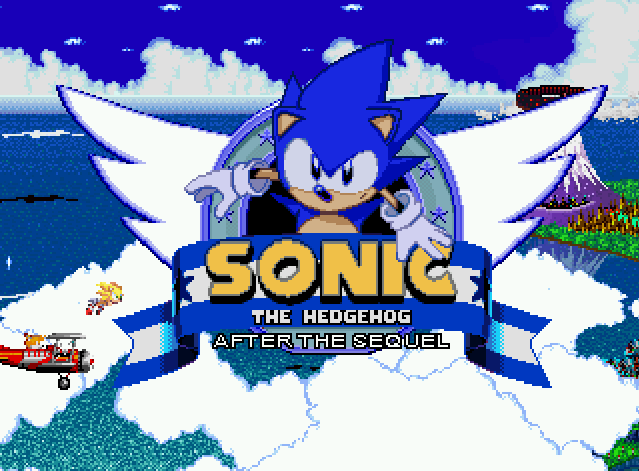 A follow-up to his previous efforts, Before the Sequel (linking Sonic 1 and Sonic 2) and the “Metronic” BtS: Aftermath, the project is meant to tie together the events of Sonic 2 and Sonic 3, filling the gap between the first fall of the Death Egg and the discovery of a downed Angel Island. 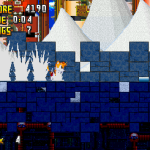 Sonic After the Sequel holds a grand total of 10 Zones for you to explore, with the narrative leading Sonic and Tails through locales such as the sunny then rainy greenery of Horizon Heights, the sweet tooth incarnate Sugar Splash, the crowded and bustling Cyan City, the haunted and ghost-riddled Moon Mansion, the frozen tundra of Parhelion Peak, and the Storm Station high above the heavens. Each Zone is broken down into 3 different Acts, followed by the Boss Act. 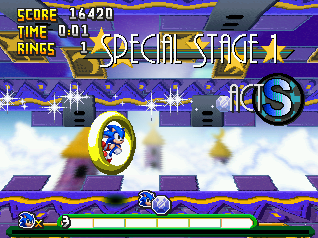 By finding Star Rings scattered throughout the stages, you can also reach a hidden Special Act! 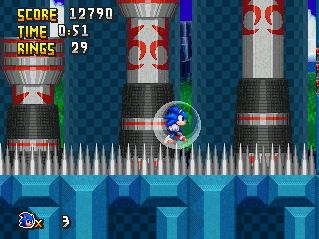 Be warned though, these special Rings are pretty well hidden, and might require numerous playthroughs in order to locate them. 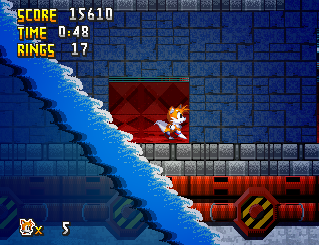 On the gameplay front, Sonic and Tails play no different than their 2D incarnations of the 90s. 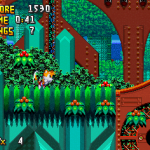 Sonic retains his ability to Strike Dash/Peel-Out by holding up and tapping the jump button repeatedly, Tails still flies, and the two Spin Dash. However, there are a few twists to how you play as well. 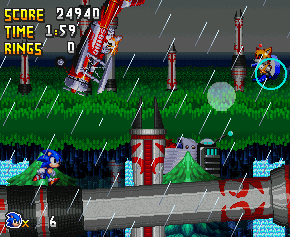 The Flame Shield returns in all its blazing glory; the Bubble Shield lets you both breathe underwater and double-jump, and there’s a shield that not only protects you from spike damage, but allows Sonic to drop straight down and retain his speed. 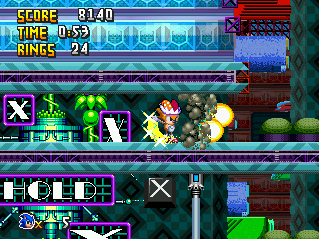 If Kirby’s no stranger to you, then there are a couple of quirky yet amusing forms for you to toy with in Cyan City: Beam Sonic and Mirror Tails! The game is split down between two modes; one is easy, the other harder but more rewarding. The easiest of the two is Story Mode, where you simply clear the complete game by going from Zone to Zone. 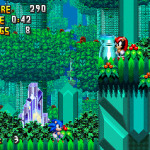 For the daring, Classic Mode plays much like the Genesis games. 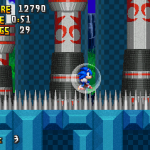 You’ll have to gather a certain amount of rings in order for a Warp Ring to spawn at the end of an Act, which then leads you to a Special Stage where you to chase after a Chaos Emerald. 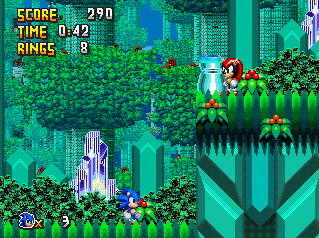 Collect all 7 and you unlock Super Sonic and the Good Ending! 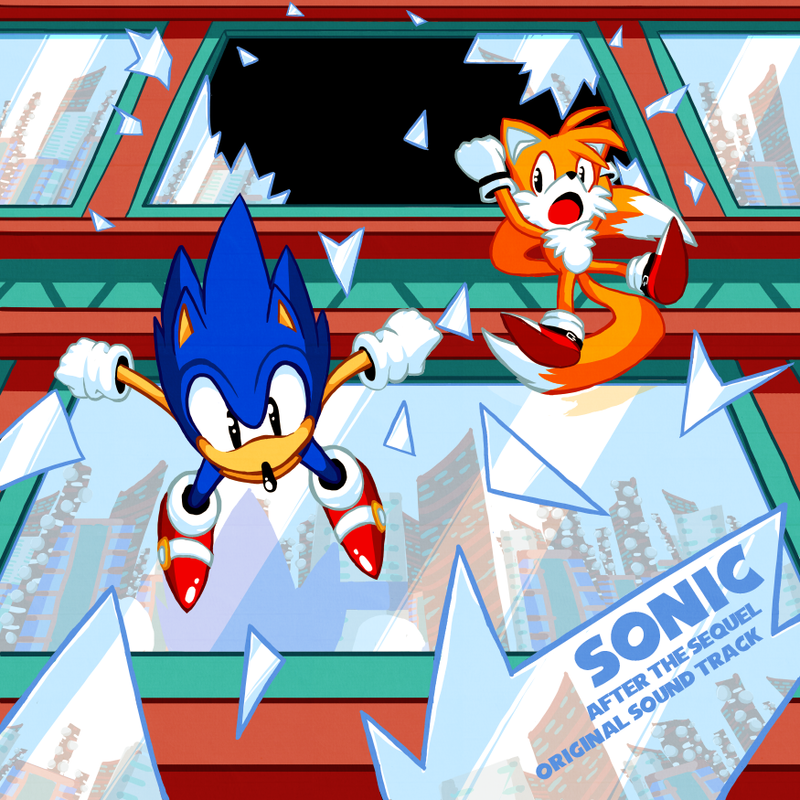 Each Special Stage bears a remixed tune, with variations of Sonic 2’s Special Stage, Radical Train’s The Chase of Sonic 2006, Hill Top Course from Sonic Drift 2… and the seventh one, well, you’ll have to reach it yourself to find out! While LakeFeperd looked after the game’s development, the effort put into organizing the soundtrack was split between seven people! Returning from BtS’12 are Falk, Andy (Ristar/Tunners), Funk Fiction, and KgZ, with Mr Lange, DJ Max-E, and Xiao’an Li joining the fray. I’m not gonna sugarcoat it: the game’s OST is beyond all levels of freaking amazing as each artist did an overall fantastic job at scoring After the Sequel. 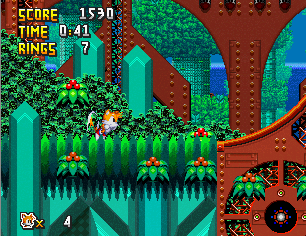 Keen eyed players will notice a nod towards the composers at the start of each Act, indicating which artists contributed the music for a particular stage. While the OST did hold back the game’s release significantly, it was SO worth the wait, believe you me! EDIT 19/06/2013: The soundtrack is out! 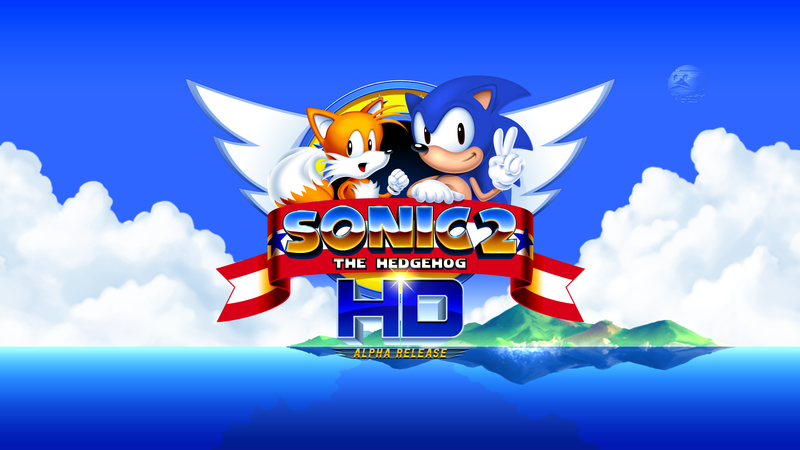 So, Lake, now that you can prepare Sonic Chrono Adventure for SAGE’13, what do you have to say about ATS now that it’s released? Download the game through the button below, and share your thoughts in the comments! Be warned, it’s a hefty 150MB!